Salad delivery can be next to impossible to find especially if you’re looking for a fresh delicious salad choice rather than those fast food salads that always seem to be lacking something. Well, here at Fairway Pizza, we don’t believe that it should have to be a huge struggle or an inconvenience to get good AND healthy food! Our restaurant may have the word “pizza” in our name, but did you know that not everything that we have on our menu is pizza! In fact, we have a rather large selection of other dishes to choose from for eating here, picking up to-go, or eating at home with delivery! Today, however, we want to focus on the availability of salad delivery. If you have been making the effort to make better eating choices lately, those efforts can be hindered by the trouble it takes to find a good and healthy meal for delivery. 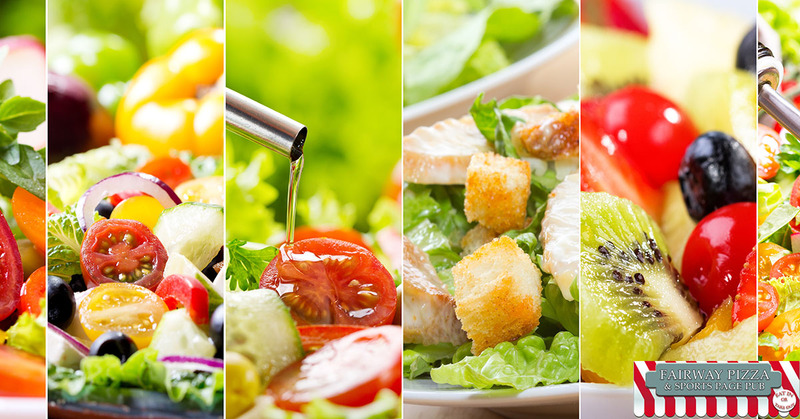 Here at Fairway Pizza, we offer a full range of salads that you won’t find anywhere else and better still, we offer deliveries! What Types of Salads Are On the Menu? 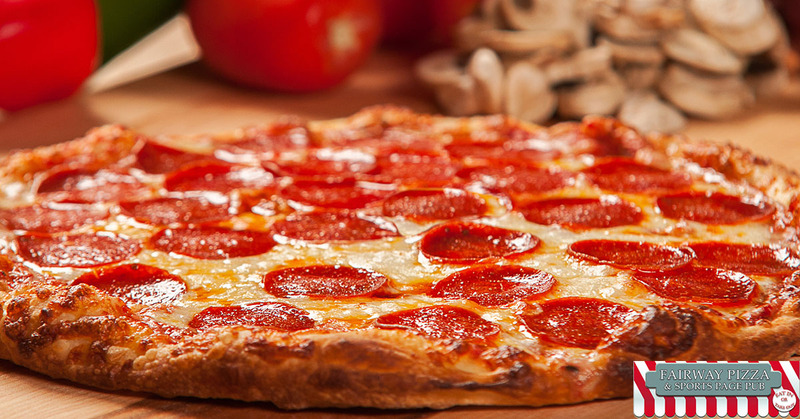 When you call Fairway pizza to place your order for delivery, you can choose from any of the items on our menu and have them delivered right to you. But what types of salads do we have available? When you’re looking for salad delivery and you’re craving something light but delicious, our Green salad is the perfect go-to. Made with lettuce, ham, feta cheese, fresh tomato, pepperoncini, calamata olives, cucumbers, green peppers, and red onions with sprinkles of oregano. Paired with our fresh house-made potato salad, you can’t go wrong with this selection from our menu! Does our Greek salad sound good but you’re not a fan of potato salad? Don’t worry, we’ve got you covered there too! Just order our Greek salad with no potato salad! When it comes to Greek salad delivery, our fans will tell you that you won’t find anything like it in most towns here in that U.S.
Not a Lover of Greek Salad? Not everyone is a lover of Greek salad, but when it comes to salad delivery, we’ve got plenty more choices to select from! Just take a look and see for yourself! Our personal favorite? We’d have to say that it’s our Teriyaki chicken Caesar salad. Made with fresh romaine lettuce, perfectly marinated chicken breast, homemade croutons, and pineapple Topped with shredded Romano cheese and our homemade dressing! You won’t find anything like it anywhere else especially not delivered straight to your door! Looking For a Restaurant Who Offers salad delivery? No matter whether you’re looking for a fresh salad or a piping hot pizza, Fairway Pizza food delivery service has got you covered. All you have to do is make your pick from our menu and get ready to enjoy every bite of your food!